Broadcasting • LHM buying The Zone, building powerhouse. "I'm excited, because it strengthens our coverage area," said Randy Rigby, president of the Utah Jazz and LHM Sports and Entertainment Group. 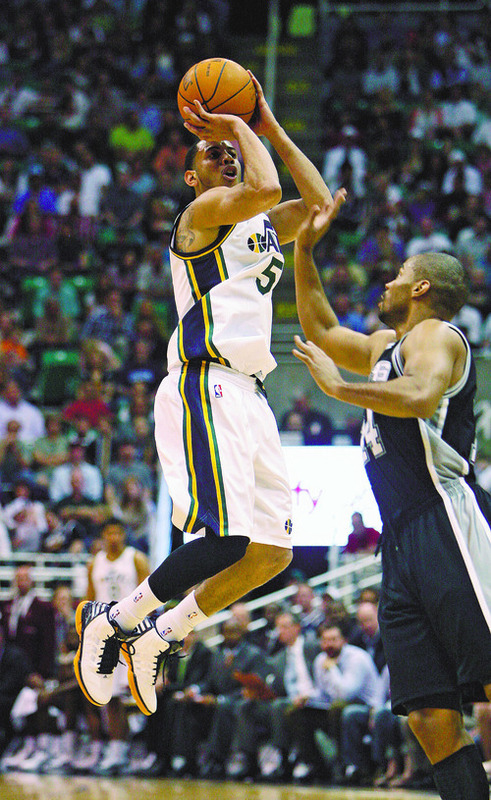 "It gives us an FM platform and an AM platform for the Utah Jazz." 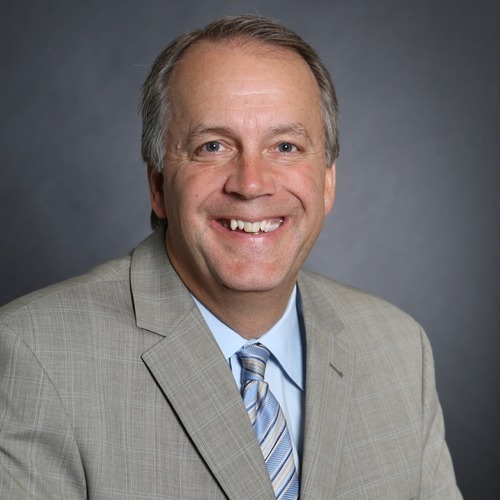 Steve Griffin/The Salt Lake Tribune Tribune file photo In a bid to create a "super sports powerhouse," the Larry H. Miller Group, owner of the Utah Jazz, is finalizing a deal to buy KZNS 97.5 FM and 1280 AM -- The Zone. The Utah Jazz are making a move that will significantly shake up the sports radio landscape along the Wasatch Front  they're switching stations. In a bid to create a "super sports powerhouse," the Larry H. Miller Group is finalizing a deal to buy KZNS 97.5 FM and 1280 AM  The Zone. That will not only take Jazz games off KFNZ 1320 AM (KFAN), but it will also affect some of the best-known sports radio personalities in Utah  from David James and Patrick Kinahan's top-rated morning program to Gordon Monson's strong afternoon drive-time show. "I'm excited, because it strengthens our coverage area," said Randy Rigby, president of the Utah Jazz and LHM Sports and Entertainment Group. "It gives us an FM platform and an AM platform for the Utah Jazz." It's also a chance to staff the station with personalities from both The Zone (where the lineup includes Hans Olsen, Sean O'Connell, Kyle Gunther and Jan Jorgensen) and KFAN (Spence Checketts, Scott Garrard, Tony Parks and Ben Bagley). "This is going to be a super sports powerhouse radio station," said Rigby, who added that the plan is to "take the best" from each station. LHM is negotiating contracts with on-air talent and did not make any staffing announcements. Second, Rigby said his hand was forced by the new owners of KFNZ, which the Jazz were operating under a Local Marketing Agreement (LMA)  essentially a lease  that expires at the end of May. LHM signed the deal with Citadel broadcast, but Citadel was acquired by Cumulus Broadcasting in September 2011. "All of a sudden, it's sold to another group," Rigby said. "This group now says that they like to run their stations and not do LMAs. We said, 'We've got to control our destiny.' "
"I think it's a solid move for the Jazz to have their own station and not have to work through somebody else," said John Kimball, general manager of ESPN 700 AM and senior vice president of business operations for Real Salt Lake. "And it's going to create some good competition." Cumulus did not return calls. It has not announced if it will maintain KFNZ's sports-talk format, although local radio executives have long expressed the opinion that Salt Lake City isn't big enough for three such stations. "It's too small to have that many sports-talk stations," said Kimball. "The pie is only so big." "It really isn't big enough," Rigby agreed. "Most major markets can just handle one." LHM has signed a letter of intent to buy KZNS AM and FM from the Salt Lake City Radio Trust. (The stations were sold into that trust by Simmons Media in January 2011.) No purchase price was announced. LHM plans to operate The Zone stations under an LMA pending FCC approval of the sale, which is expected in 60 to 90 days. LHM is also entering into an LMA with KOVO 960 AM in Provo, with an option to buy. In addition to the Jazz, The Zone also has agreements with the Salt Lake Bees (another LHM property), the Utah Blaze, the Utah Grizzlies, Utah State and Weber State. And it will remain The Zone for now. "We may change it, but right now it's just going to be The Zone," Rigby said. "It's an established name."